Whether the dirt is manmade or not, the new houses are almost certainly Euro-made. 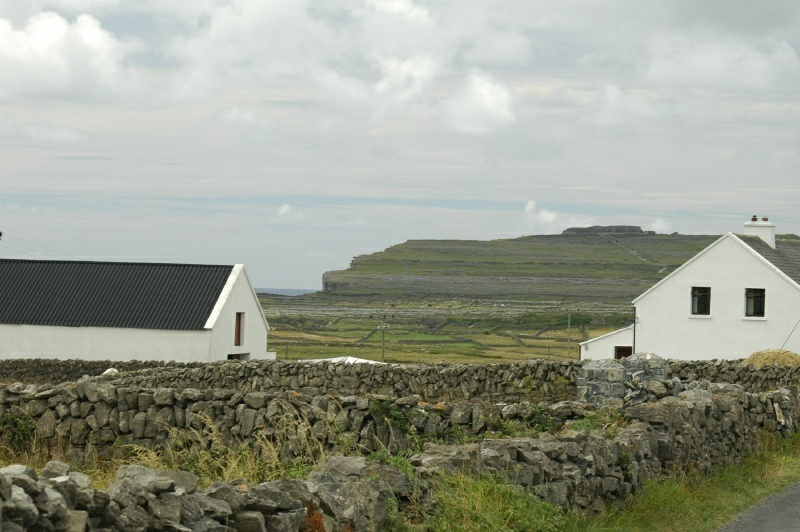 Like the rest of Ireland, the Aran Islands are undergoing a building boom in the flush of wealth from Ireland's membership in the European Union. Here, two brand-new structures form a foreground for the more distant ancient fortress of Dun Angus on the horizon.